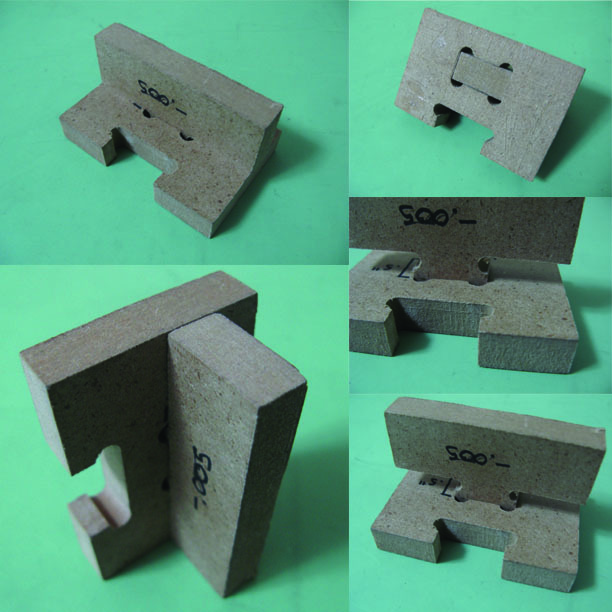 Test pieces diagram. The design was based on a 1″ x 0.5″ press fit connection, and I tested multiple versions to determine what tolerance was necessary to include. 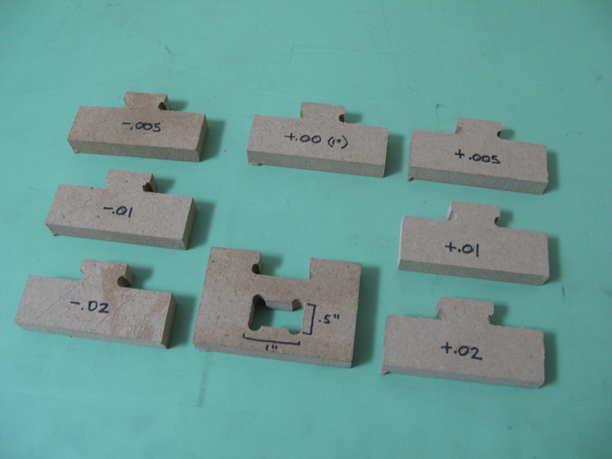 The slot was of the same dimension 1″ x 0.5″ and remained unchanged throughout the test. 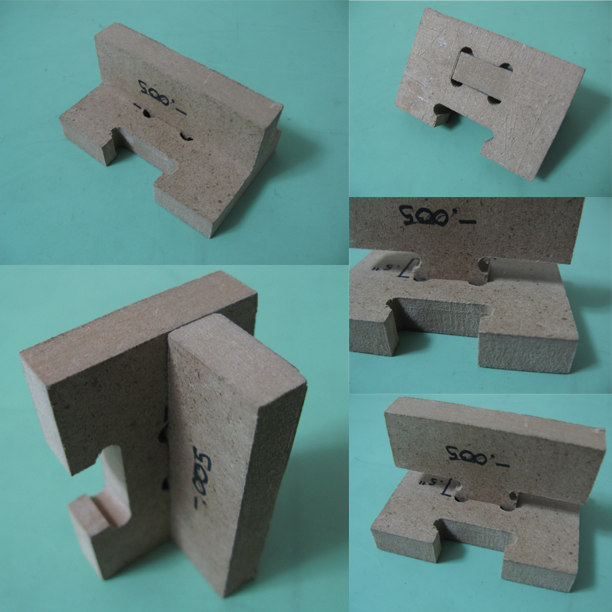 Press-fit test pieces. 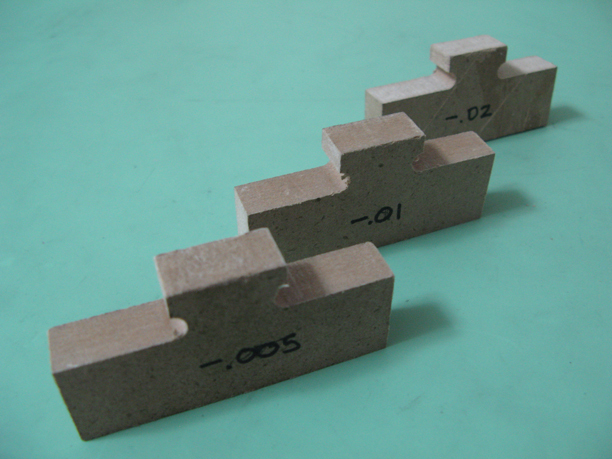 The dimension for the test pieces were varied on each side by 0.005″, 0 .01″ and 0.02″, both positively and negatively, and were cut using a 1/4″ endmill. Results. Only the pieces with dimensions slightly less than 1″ (0.99″, 0.98″ and 0.96″) fit into the slot,with the 0.99″ piece producing the tightest fit.